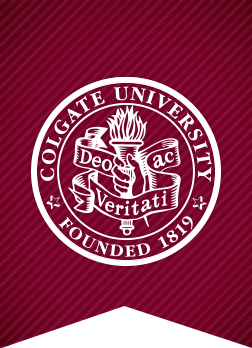 This year marks the 75th anniversary of the Colgate Thirteen and the 25th anniversary of the Resolutions’ founding. 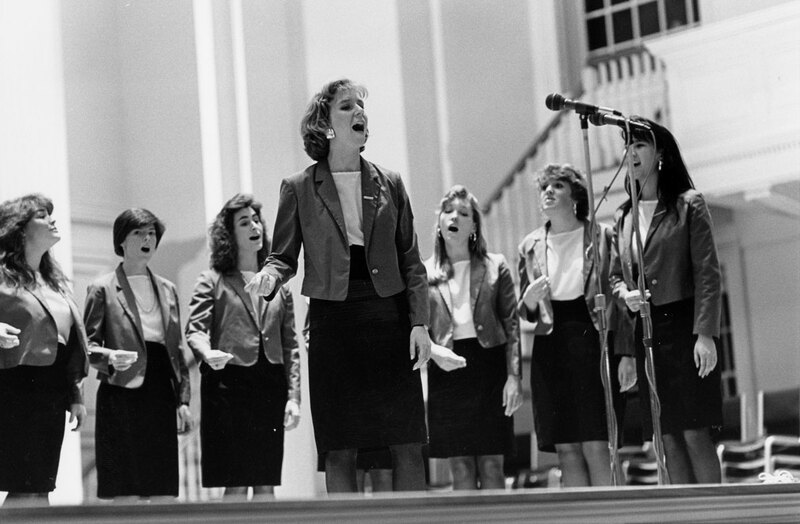 We looked back at the tradition of a cappella at Colgate for some of the high notes. 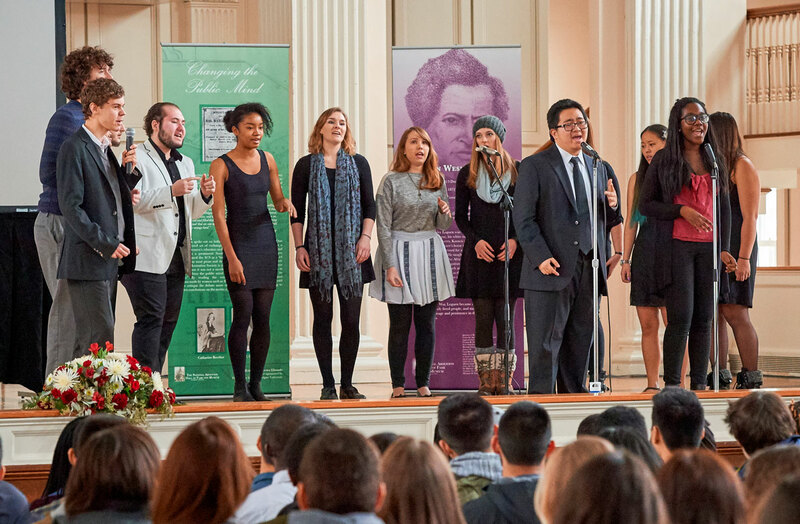 A precursor to a cappella groups on campus, the Sacred Music Society, established in 1843, was the first musical group at Colgate. 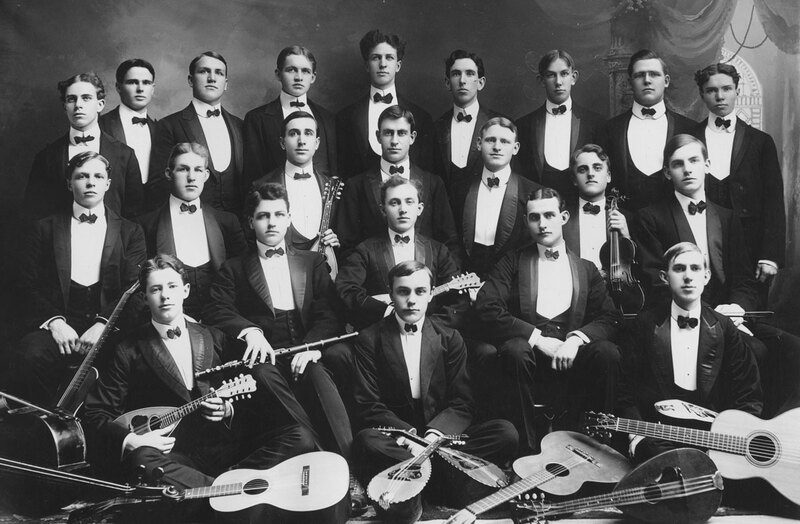 It later became the Glee Club, which remained completely student run until 1912, when the music department hired its first full-time professor — William Hoerner. 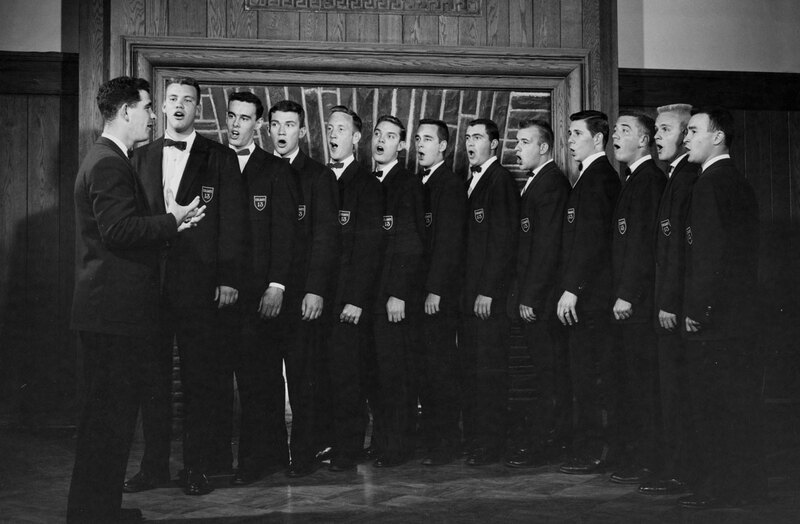 In 1942, students established the university’s first a cappella group, the Colgate Thirteen. 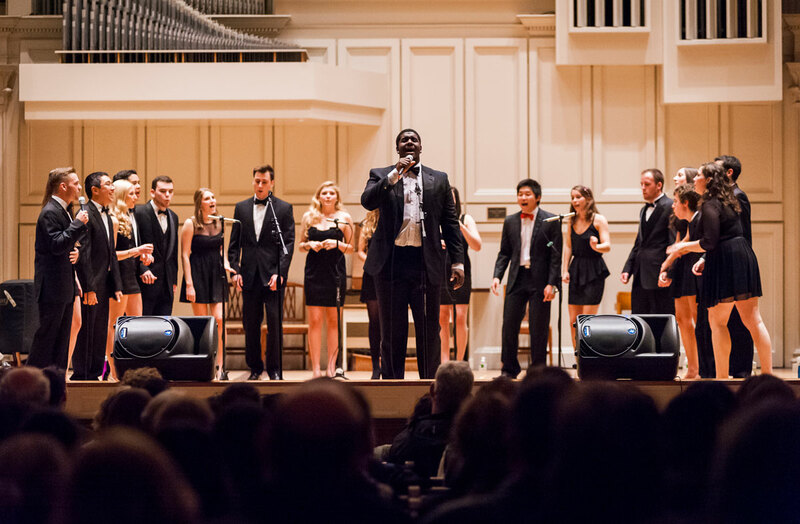 Among the oldest collegiate groups of their kind in the country, the Thirteen have produced 27 albums. 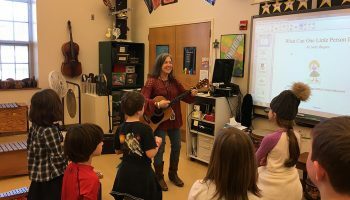 Favorite tunes include 1950’s “Coney Island Baby,” 1964’s “Moon River,” and old-school standards like the “Colgate Hymn.” The Vintage Thirteen (alumni who fondly call themselves “Crusties”) reunite and perform together frequently. 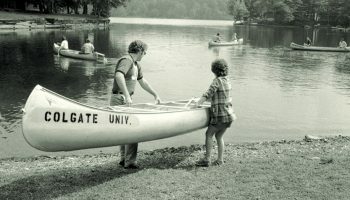 Four years after Colgate became coed (1974), female students created the Swinging ’Gates. 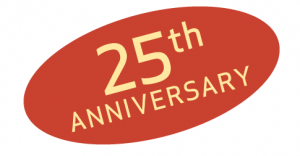 Today, the ’Gates pair with the Thirteen for two annual concerts. The ’Gates are best known for their rendition of the traditional “1819,” which tells the story of the university’s founding. 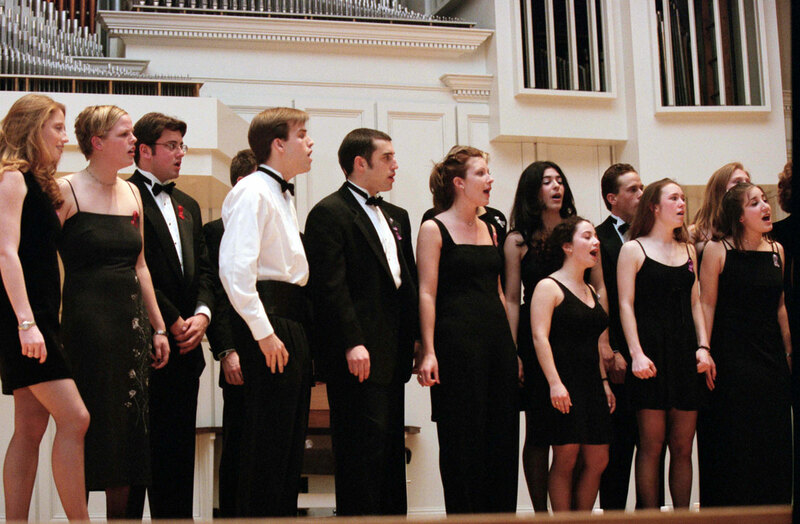 Kate Pientka ’02 established the Dischords in 2001 because: “Many singers on campus wanted the experience and camaraderie that a cappella offers, but there weren’t enough groups,” she said. 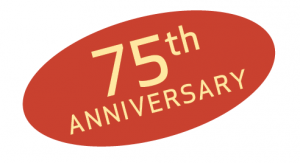 Now with 17 members, the Dischords perform biannually, featuring covers of pop hits. Originally dubbed the Mandrakes (as in the mythical plant known for its deafening screeches) when it began in 2011, the coed group was renamed the Mantiphondrakes — combining the original name with the musical term “antiphon” — in 2012. 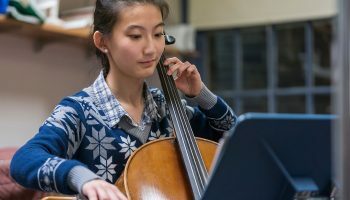 The founder, Steph Arditte ’11, “intended to provide a space for students to grow together while understanding each other’s differences, outside of traditional forms of campus culture,” said current group leader Jason Alexander ’17.